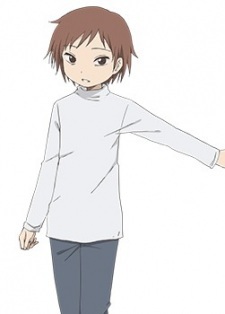 He is a boy who has the same ability as Wakabe - To see ghosts. He travels through, to the Oblivion, to get rid of his ability and this is successful, as he is re-born. Whilst at Oblivion, he founds out that he has a child with Wakabe and this child is actually Po-chan.